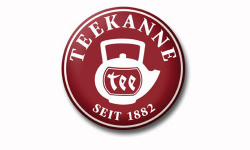 Teekanne GmbH & CO. kg is a German tea trading company, based in Düsseldorf. The founders Rudolf Anders and Eugen Nissle were the first to sell tea in tins and already mixed teas on a high quality level. Furthermore, they went on to invent the machine-made tea bag. Today the family-run company is still the world leading company in the production of tea bags and produces 7.5 million tea bags per year.